Who says that adults cannot have fun playing games? Board games for adults represent an important market, and many people love them, so taking your pick should be easy. However, many people may feel quite overwhelmed with the plethora of choices available, which means that you might not find selecting the right game for a night with your friends a quick task. If that is the case, the next buying guide we put together should be helpful. We took a look at the market for cool and weird games, and we saw what aspects make the best weird party games you should try with friends. It is true that you can always opt for a game of Monopoly, but let’s be honest; your party may quickly turn into a snoozefest if you’re not careful. What you need to do is to pick a new, modern game that will make everyone excited. Even if you haven’t yet tried one of the new titles available, we guarantee that if you follow the simple recommendations below, you will be able to select the right one. Make your party one to remember and enjoy the games you choose all night long. Before providing you with everything you need to know for picking some awesome games to play with friends, let us tell you a bit about how we conducted our research. We took into consideration the existing offer of cool games, and we also looked at what buyers had to say about them. This way, we identified the essential elements that make the most popular games to be so appreciated by players. Is the game family friendly or is it intended only for adults? Probably the first thing you need to ask when you select a game is whether it is suitable to play with the entire family, which may include kids, or it is a proper choice only if the people you are going to play with are of adult age. Manufacturers will always indicate on the package what age groups are included, so you should not have a problem with this. Since we are here to tell you about games that you can enjoy all night long, that means that our focus is more on games for adults, rather than kids who should not be allowed to stay up late anyway. 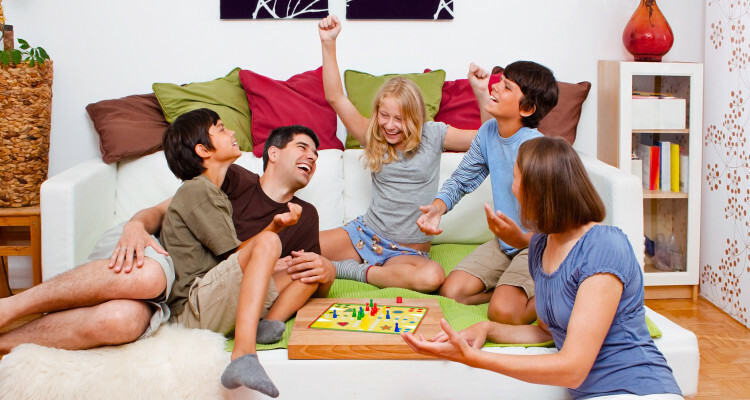 Of course, if your family only includes adults, it should be no problem for you to get together with both family and friends for a cool and weird game that will make everybody laugh. Is the game suitable for beginners? Another thing that you should focus on is whether the game you intend to purchase is forgiving with beginners. There is no surer way to drive everyone off from the game than picking one that has a too steep learning curve or favors those who are already initiated in its secrets. The main characteristic of a game that is a good pick for beginners is that it is easy to learn and play. However, this does not mean that everyone should be forced to go through tedious explanations about rules and whatnot. The best weird games are those that allow you to jump right into the action quickly. At the same time, advanced players should be able to enjoy the game just the same. 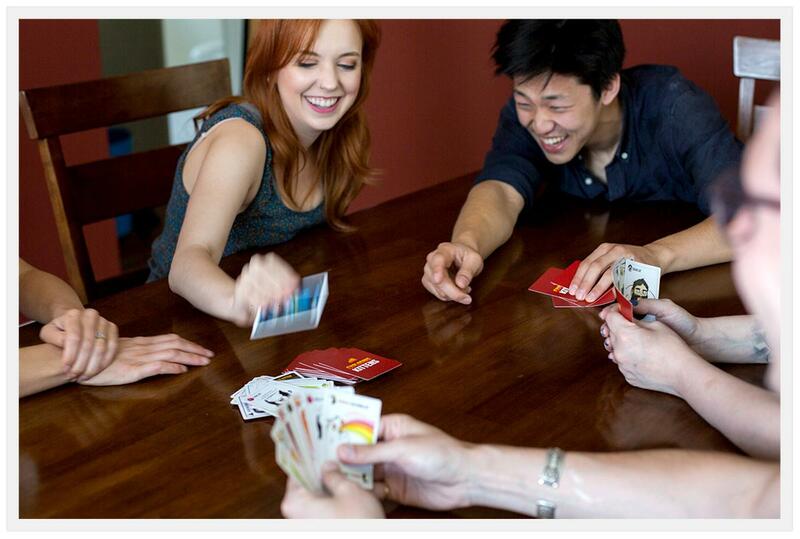 The idea of playing such a game with family and friends is to bring everyone together for a bit of fun. And, who knows? You may even make some of your guests fall in love with the game, which means that you can hope for a rematch in case you get stuck on the losing side for the evening. Now that you got the gist of what kind of game you should pick for a fun night with friends, it is time to talk about the serious stuff. Are you more interested in getting a game that allows and promotes co-operative play, or you have nothing against an all-out war, with the sole purpose of crushing your enemies? Remember that you will be playing the game with friends, which means that you should know whether there will be hard feelings after the game or not. Some people like working together towards solving a mystery, or bringing down an imaginary villain. Just the same, some players would instead bring out the big guns and go against friends (without any hard feelings, of course). How many people will be involved? Make sure that you pick a game that is intended for as many players as possible if you plan a larger gathering. Read the weird games reviews offered by other players to see what they have to say about how many people will be playing. That is a critical aspect, and it may not sound like much, but, if there are people who will be left out, your party may become a less enjoyable experience. There will also be information about how many players can be accommodated written on the package. This number can vary, but you should make sure to have enough room at home so that everyone can sit comfortably while enjoying the game. There are many types of games out there for sale. When taking your pick, make sure that you bear in mind your friends’ preferences, just as your own. You can find some excellent twists on the classics, as well as modern games that even allow the use of smartphones for more interactive play. With so many options available, you may feel a tad overwhelmed. What you can do is to enlist a friend’s help and pick the game together. That will surely make things more comfortable, and you will also make sure that your friends will like the game you choose just as much as you will.